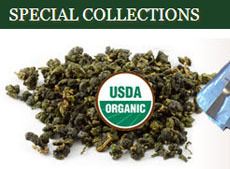 UPDATE: See a gaiwan in action in a review of our 2011 Spring Imperial White Peony Tea. For some teas, steeping in a teapot is just not appropriate. Yes, you can get a decent tasting tea, but it’s not quite the same as when using other more traditional steeping vessels. One such vessel is the gaiwan — a small steeping bowl with a lid and a saucer (most of the time, although some don’t have this). 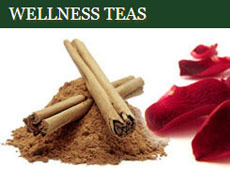 There are some tricks to using it properly, though, and thus getting the best quality flavor from your teas. Gaiwans come in different sizes (often 100-230 ml or 150-250cc). The issue is the same, though, no matter the size: How high do you pour the water? Just up to where the lid sits? To the brim? That’s up to you, but in most videos that show gaiwans in action the user only fills up to where the lid sits. Otherwise, that lid will end up floating. the tea leaves and liquid. 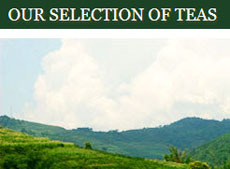 Most tea vendors will have some recommendation here, and you can use this as a starting point. Since the teas that are usually steeped in gaiwans tend to be ones that can be infused several times, use plenty of tea leaves, that is, a bit more than you would normally think of using. Just as with Yixing teapots where you practically fill the teapot with the dry leaves, be generous here, at least at first. You can always experiment later to see if you need to increase or decrease the amount of leaves. There will also be some variation depending on the type of tea and number of infusions you can expect to get (some are as few as 3 and others as many as 13). Some gaiwan users swear that they drink the tea straight from the gaiwan bowl. Others strain the liquid into another vessel (a sipping cup or a cha hai) for drinking so the tea does not oversteep. Which you do will be determined in part by the tea. If it can take a longer steep, it will be cool enough to at least sip after steeping, but you may want to sip pretty fast so the tea does not become too strong, bitter, or even astringent due to oversteeping. Those who strain face another challenge, as seen in #4 below. This is perhaps the biggest issue with gaiwans and has been addressed in different ways by users. Whatever you try, be aware that the gaiwan gets HOT!! Even when steeping teas that require a lower water temperature and/or longer steeping time (that allows the water to cool slightly), you can still be faced with something too hot to handle. One option a user showed me was to set the lid at an angle so the liquid could pour out but keep the leaves in the bowl, then lift the gaiwan with its saucer and the lid between fingers and thumb to pour into a cup. Another option here is to wear gloves that are thin enough to allow for secure handling of the gaiwan yet insulating enough to protect your fingers from the heat. A custom made gaiwan cozy to set the bowl in could be another option, but I have not seen such an item anywhere. Just as with teapots, cleaning and drying your gaiwan between uses is a good idea. It prevents bacterial build-up and having the flavor of one tea just steeped pop up in the flavor of the next tea you steep. Avoid soap if at all possible or at least be sure to rinse thoroughly. Let the gaiwan, lid, and saucer dry separately and thoroughly by air, or hand dry each piece. This will prevent any mold growth. Store the gaiwan on its saucer with the lid on it to keep out dust (if you use it daily, dust is, of course, not an issue). Whether your gaiwan is porcelain, ceramic, glass, or some other material, these simple tricks should help you use them to advantage when steeping up your fine teas. 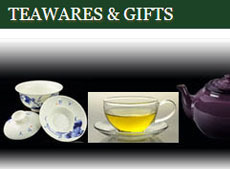 This entry was posted in Teawares and tagged gaiwan, JAS-eTea, tea steeping, Teawares. Bookmark the permalink.